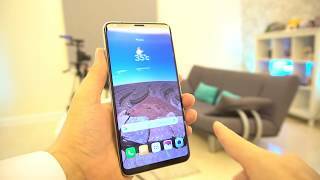 The LG V30+ is a beautifully crafted smartphone. It has curved glass on front and back and is slim and light. It has a 6-inch display with 7.3mm thickness and weighs just 158g. That definitely makes the V30+ a bit slippery and susceptible to drops. But LG’s claim of the handset passing 14 different military-standard durability tests (MIL-STD 810G) does give some reassurance. 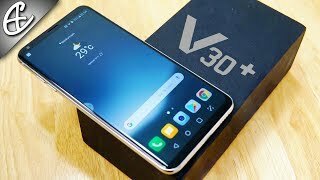 The V30+ looks nothing like we have seen from LG under its own brand. The V30+ faces stiff competition coming from Apple, Samsung and Google among others and it’s no surprise that LG has packed the phone with some of the top-end specs in the market. The smartphone has an octa-core Qualcomm Snapdragon 835 processor with 4GB RAM. For storage, it offers 128GB in-built memory as a microSD card of up to 2TB. As for the software, the handset runs Android 7.1.2 with LG’s own UI skin on the top. The V30+ offers great deal of customization and will certainly be appreciated by those who love to customize every tiny bit of their smartphones. One of the most talked-about feature of the LG V30+ is its camera. Before we get into the detail, let’s get the camera specs out of the way. The smartphone has a dual rear camera setup, consisting of one 16MP standard angle (f/1.6 aperture) and one 13MP 120 degrees wide angle (f/1.9 aperture) lens. LG V30+’s camera is said to be the world’s first camera system to sport an aperture of f/1.6, which basically means that more light can enter the camera lens ultimately improving the low-light photography. The dual camera uses glass lens in lieu of plastic and that result in brighter images with less distortion, according to LG. The Quad HD display on the front is sharp and bright.